← The Sports Archives – How To Choose The Right Motorcycle For Your Adventure-Seeking Spirit! In the later parts of the 19th century and early parts of the 20th century, China’s Song Dynasty played an early form of golf called “chuiwan”. The game wasn’t exactly like golf, but they were using clubs to hit something similar to golf balls into holes in the ground. They were allowed to use 10 bejeweled clubs, in order to get the ball into the cup. Can you see Tiger Woods busting out a diamond-covered driver for his tee shot? Yeah, neither can we. Scotland gets credit for inventing golf as we now know it. Players were using branches that were cut from trees, to hit the ball. Golf had finally made its way across the Atlantic and had reached the U.S. Golfers were now using 20-30 different wooden clubs, all built for different purposes, to hit “featheries,” an early form of the golf ball. Clubs were hand made by individual craftsmen and had no real model to follow. Persimmon was the most popular wood to use, when making clubs. It has a high density mass and was very durable. Golfers would use different sized clubs, according to the golfers size and age. Hickory wood is used for the shaft of the golf club. At the U.S. Open, golfer Billy Burke was the first to use steel-shafted golf clubs. How much of an advantage it gave him, we’ll never know. We do know, however, that he did win the U.S. Open. For the tournament, he painted the shafts to make them look like they were wood. Graphite shafts make their way into the world of golf. The lightweight, flexible shafts were first used by senior golfers and women. The first stainless-steel driver was released. These drivers increased distance, consistency and had a larger sweet spot. Wooden drivers across the planet were being thrown away. In addition to these innovations, there are plenty of other ways that the golf club has evolved. Hybrid golf clubs—a mix between an iron and a wood—are replacing irons. They are allowing us to play with more power and are a great addition for beginning golfers. 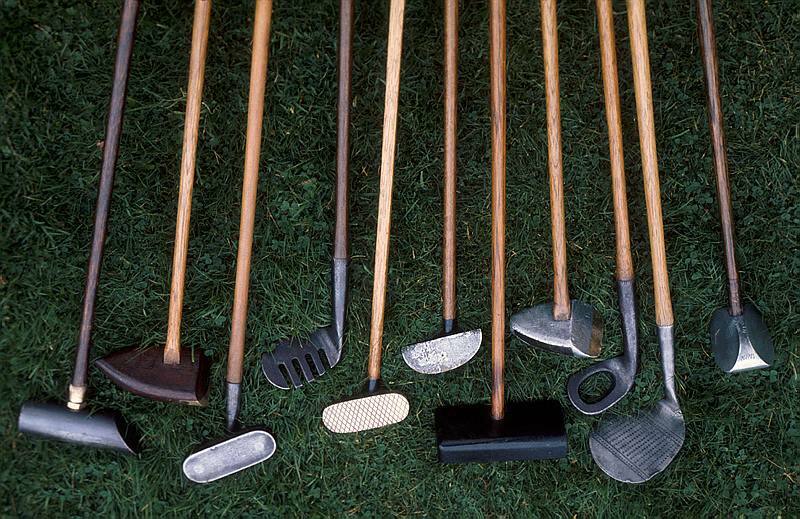 Putters were originally made with wooden heads. From wood, we advanced to steel with wooden inserts. We kept advancing all the way until today. In today’s PGA, we often see belly putters and long putters, which have drastically improved the short game of many golfers, across the world. The first irons were basically a flat piece of metal, that was very similar to a blade. They evolved into muscle backs and cavity backs, making the club stronger, more durable and more accurate. Muscle and cavity backs are often compared to each other, but the personal preference of the golfer should always be the main priority. As we can see, golf has come a long way since it’s beginnings. There have been numerous inventions and technological advancements that have made golf clubs and golfers much better. The game and its equipment will continue to advance, and will only make golf more enjoyable for the player and the spectator. 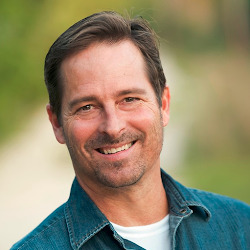 Phil Oscarson is an avid golfer and golf analyst who writes for BleacherReport and enjoys frequenting the Lake Tahoe golf course most weekends. He’s still trying to convince his wife to let him install a putting green in his backyard. The History Of Golf In America! The Evolution of the Golf Club! Golf History – How Did It All Begin? This entry was posted in Golf and tagged Billy Burke, chuiwan, featheries, golf advancement, Golf Blogs, golf clubs, golf equipment, golf history, graphite clubs, hickory wood, history of golf, irons, persimmon wood, PGA, putters, Scotland, sports and leisure, sports and recreation, Sports Archives, Sports Blogs, stainless-steel driver, steel-shafted clubs, Tiger Woods, U.S Open, wooden clubs. Bookmark the permalink. 5 Responses to The Sports Archives – The Evolution of Golf Clubs! D2 for men. Onne of the main reasons to regrip is simply to lay a better game. Good review. I have read your post. excellent. Thank you so much for making this website! It has been very useful and awesome.